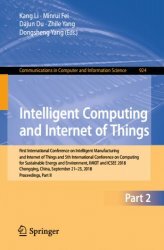 The three-volume set CCIS 923, CCIS 924, and CCIS 925 constitutes the thoroughly refereed proceedings of the First International Conference on Intelligent Manufacturing and Internet of Things, and of the 5th International Conference on Intelligent Computing for Sustainable Energy and Environment, ICSEE 2018, held in Chongqing, China, in September 2018. 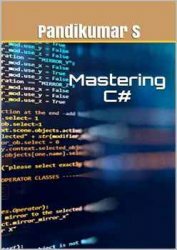 “Mastering C#” is mainly focuses on the advanced concepts like Exception handling, Multi-threading and ADO.Net. The first chapter explains how to deal with exceptions, which provide an object-oriented mechanism for handling life's little emergencies.The second chapter focus about multithreading because multi-threading is vital concept of every programming language. The third chapter of this book will explain you about database and its types and how to use ADO.Net to access databases, work with DataReader, DataAdapter and Dataset. Each concept has lots of sample programs. These programs are very simple and compact. These sample programs are using SQL Server 2008, so you have to install and configure the software before run the programs. JAVA HOMEWORK PROJECTS teaches Java GUI (Graphical User Interface) Swing programming concepts and provides detailed step-by-step instructions in building many fun and useful projects. To grasp the concepts presented in JAVA HOMEWORK PROJECTS, you should possess a working knowledge of programming with Java and be acquainted with using the Swing control library. Our tutorial LEARN JAVA GUI APPLICATIONS? can help you gain this needed exposure. 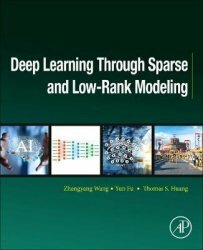 Deep Learning through Sparse Representation and Low-Rank Modeling bridges classical sparse and low rank models-those that emphasize problem-specific Interpretability-with recent deep network models that have enabled a larger learning capacity and better utilization of Big Data. It shows how the toolkit of deep learning is closely tied with the sparse/low rank methods and algorithms, providing a rich variety of theoretical and analytic tools to guide the design and interpretation of deep learning models. The development of the theory and models is supported by a wide variety of applications in computer vision, machine learning, signal processing, and data mining. 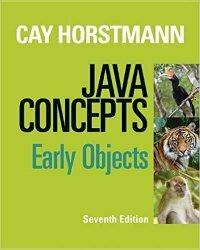 In Java Concepts, Cay Horstmann provides a comprehensive introduction to fundamental programming techniques and design skills helping the student master basic concepts. Realistic programming examples, homework assignments, and lab exercises build student problem-solving abilities. 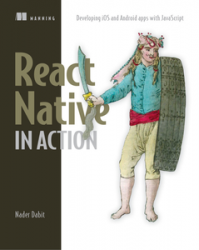 React Native in Action teaches you to build high-quality cross-platform mobile and web apps. In this hands-on guide, you'll jump right into building a complete app with the help ofclear, easy-to-follow instructions. As you build your skills, you'll drill down to more-advanced topics like styling, APIs, animations, data architecture, and more! You'll also learn how to maximize code reuse without sacrificing native platform look-and-feel. 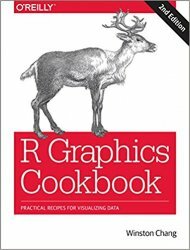 This O’Reilly cookbook provides more than 150 recipes to help scientists, engineers, programmers, and data analysts generate high-quality graphs quickly—without having to comb through all the details of R’s graphing systems. Each recipe tackles a specific problem with a solution you can apply to your own project and includes a discussion of how and why the recipe works. Год: 2005 - 2-е изд. SharePoint is an enterprise portal server living under the Microsoft Office umbrella. It can be used as a local installation (on-premises) or an online service. The SharePoint Online service comes bundled with Office 365. 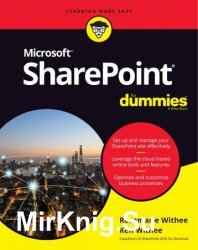 You can use SharePoint to aggregate sites, information, data, and applications into a single portal. SharePoint 2019 contains highly integrated features that allow you to work with it directly from other Office products such as Teams, Word, Excel, PowerPoint, and many others. Автор: Алексеев Е.Р., Чеснокова О.В. Книга адресована изучающим алгоритмизацию и программирование. Прочитав ее, вы научитесь составлять алгоритмы и программы. 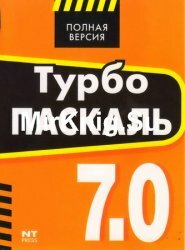 Книга посвящена языку программирования Турбо Паскаль версии 7.0. Приведено большое количество практических примеров программирования. Подробно описаны такие этапы программирования, как работа с подпрограммами, модулями, файлами, экраном дисплея в текстовом и графическом режимах.